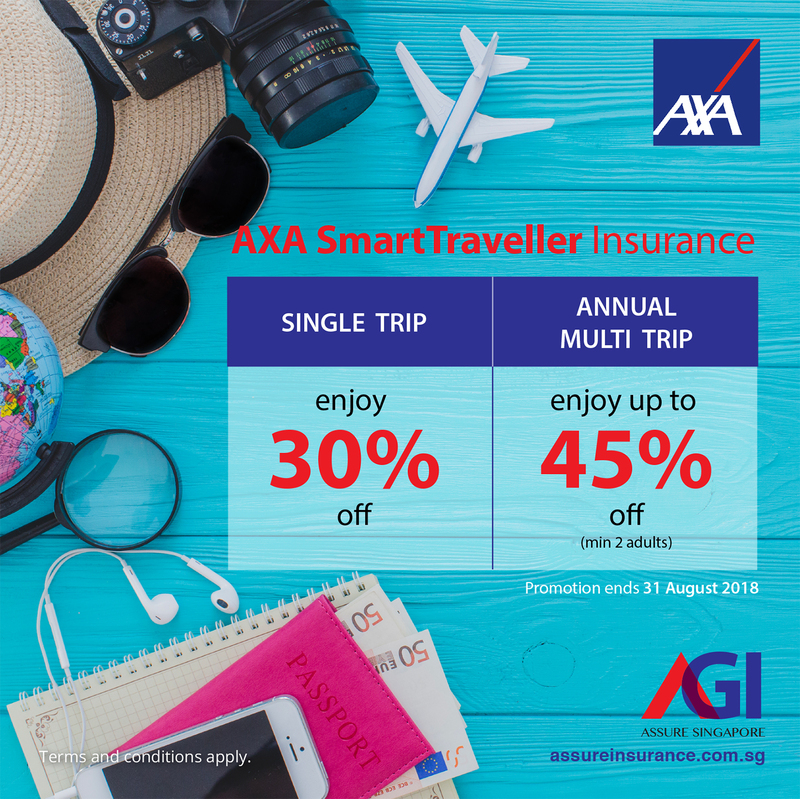 • Enjoy 30% OFF AXA Smart Traveller Single Trip. • Enjoy up to 45% OFF AXA Smart Traveller Annual Multi Trip. Promotion ends 31 August 2018.